Why, he’s not outside longing to come in, is he? What a handsome boy!!! Naw, I called him and he turned around. He IS a handsome boy! Thank you! From our Johnson house to yours. Hi Abby Lab! Thanks for visiting. 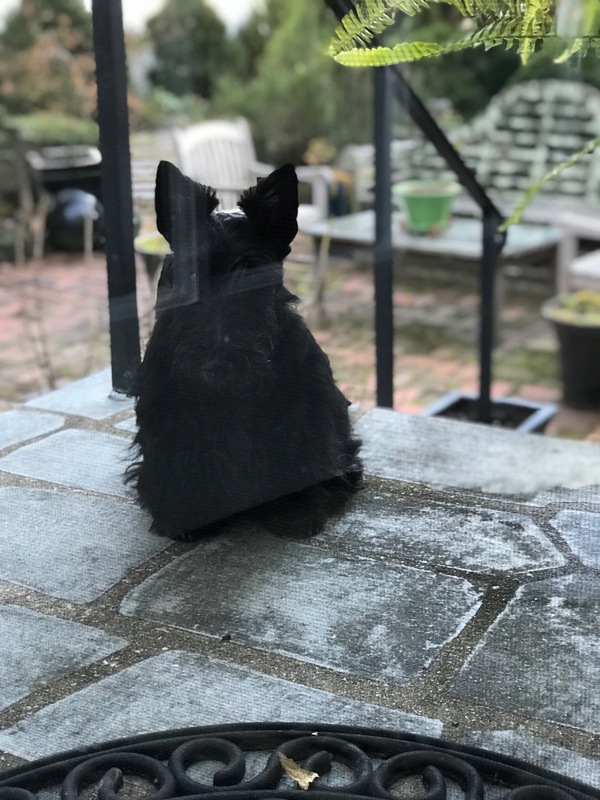 A silent Scottie-we don’t believe it. I knew I couldn’t fool you. What an adorable wee beastie. Ah Winston… snoopervising the inside of your home?? Indeed. He’s got a good snooter! Thank you my porcine pal! How are you? Nice to hear from you.